The story of Bermuda’s cahow — and Dr. David Wingate’s role in saving the island’s critically endangered national bird — is being told in a new book which will be published later this year. Boston writer Elizabeth Gehrman’s “Rare Birds: The Extraordinary Tale of the Bermuda Petrel and the Man Who Brought It Back from Extinction” will be in bookstores in October. For millions of years, cahows roamed the open Atlantic, travelling thousands of miles a week and returning annually to breed in Bermuda, a tiny speck of land known by early seafarers as the Devil’s Isle for the haunting cries of the birds that descended on it by the hundreds of thousands every November. Not long after the Spanish, and then the English arrived on Bermuda’s shores in 1609, the cahows’ calls were silenced, seemingly for good. But in the last years of the 19th century, tantalising hints of the cahows’ continued existence began to emerge, and in 1951, the American ornithologist Robert Cushman Murphy and Louis Mowbray, a Bermudian naturalist, mounted a bare-bones expedition to find the birds that to many had come to regard as little more than a legend. They brought with them a 15-year-old Bermudian boy named David Wingate. When at length a bird was extracted from a rocky crevice and Dr. Murphy exclaimed, “By gad, the cahow!” the young Wingate was hooked. Starting with just seven nesting pairs of the birds, Dr. Wingate would devote the rest of his life to restoring the cahow to its rightful habitat, battling hurricanes, invasive species, DDT, the American military, and personal tragedy in the process. 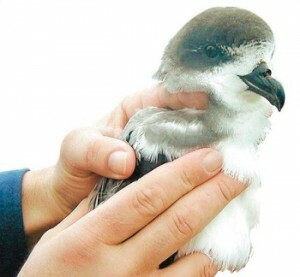 Today the cahow, still among the rarest of seabirds, numbers about 250, and its population is climbing ever higher. Dr. Wingate’s passion and dedication have made him a icon among birders, and his story is a symbol of hope for anyone who cares about the natural world. The 256-page hardcover “Rare Birds: The Extraordinary Tale of the Bermuda Petrel and the Man Who Brought It Back from Extinction” is being published by Boston’s Beacon Press.